Day 35 – I am grateful for getting to spend a lovely evening with a friend. 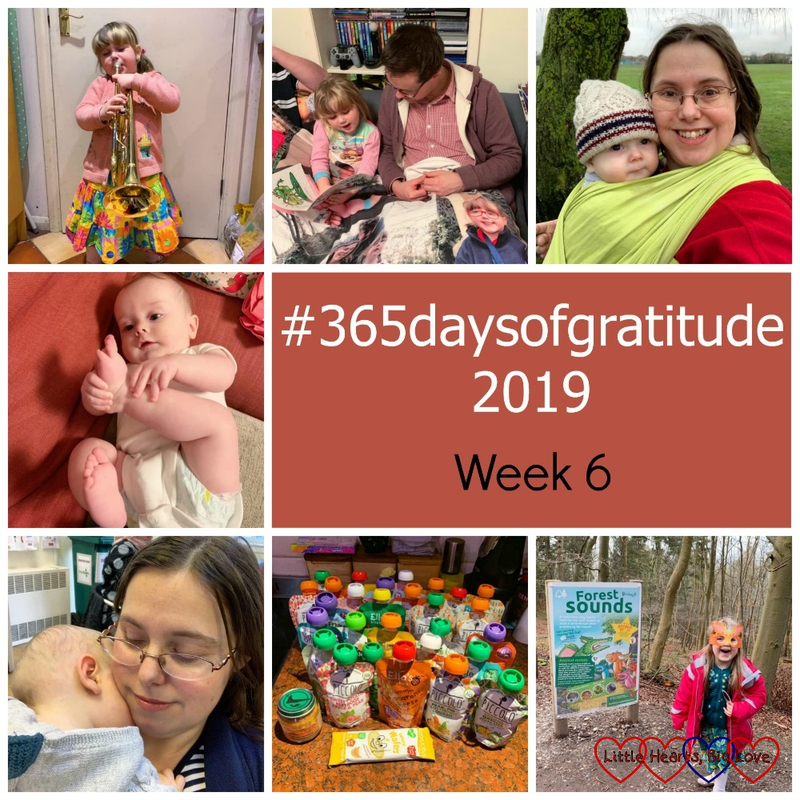 Day 36 – I am grateful for wraps and slings. This little boy of mine is a cuddle monster which is lovely but also frustrating at times. Going for walks with him wrapped like this is often the best way to get him to have a decent nap and most of the chores get done this way too! Day 37 – I am grateful for adorable baby feet and how fascinated Thomas is by them. Day 39 – I am grateful that Thomas will be spoilt for choice for a while on the food front thanks to a lovely friend passing on some baby food pouches that they no longer need. Day 40 – I am grateful for a lovely spontaneous family day out hunting for dragons on the Zog trail at Wendover Woods.